£150 of Amazon Gift Cards for My Blog Readers! 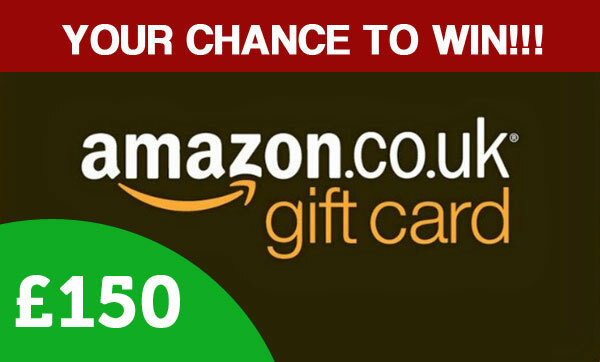 Happy days – we’re slowly getting closer and closer to Christmas, which means just one thing – it’s that time of the year where I have my readers only contest which gives YOU the chance to grab £150 worth of Amazon gift cards! And this year the contest is more important than ever before. Why? Because there are now more than 250 articles/guides published on this blog and it’s becoming extremely difficult for me to come up with new articles to write for you. So I really hope you’ll lend me a hand here and submit lots of content ideas I can then work on in 2016. So, how does this work and what do you need to do to enter the contest? Just like the last year, I’m giving away a total of £100 in gift cards to 5 people, so £20 each, and the rules are super simple – all you have to do is leave a comment below this post with at least one topic suggestion for a future blog post. As easy as that! It can be a question or general topic suggestion – pretty much anything that you would like to see me write about on this blog. PLUS this year there will also be a 6ft gift card to win, worth £50! This one will go to the person with the most interesting and valuable comment. What is the best graphics editing software for an eBay business? How to verify a supplier based in India? How much does it cost to start an online shop? A step by step guide to selling on Amazon! Freight forwarders – what are they and how do they work? Best thermal label printers reviewed! 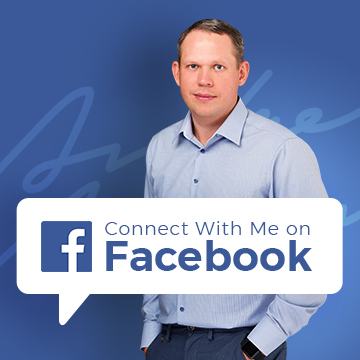 It doesn’t have to be just one topic or one question of course – the more ideas you can give me, the better! As I said, it is becoming very difficult to find topics I haven’t yet covered so your help here is greatly appreciated! I still want to do 2 weekly posts next year (plus our weekly Q&A post) and this means that I need at least 100 topics to write about, so I need your help!! IMPORTANT!!! When leaving your comment, please make sure you enter your correct email address & name so I can quickly contact the lucky winners and send over their gift cards asap. The deadline for entry is this Thursday (17th December), 8AM GMT time and the winners will be announced on the same day, via a special blog post. This means you have 3 full days to submit your entry. How will I pick the 5 lucky winners? I will first put together a list of names from all the comments left below this post (ones that qualify) and then enter them in to a random number generator to fairly select our 5 winners (the first five from the randomly generated list). So it really doesn’t matter how good or bad your comment is – everyone has a chance to win! And the author of the BEST comment will receive a £50 Amazon gift card. I will personally decide who wins this prize and will re-publish the winning comment on Thursday, along with the results of the contest. Please note – only one entry per person will be counted. You’re more than welcome to leave several comments, if for example you come up with more ideas after you have left your first comment, BUT your name will only be entered once into the draw. This is just so people don’t split up their suggestions into multiple comments for a greater chance to win a gift card. How To Redirect A Domain Name To EBay Shop! I’d like to know what the best order management system is, one that features exporting for printing address labels or a built in function. The best value for money system out there that you’d recommend. You haven’t steered us wrong in the past. Could you mention a topic with ways to operate on UK eBay/Amazon when seller does not live in UK or seller moved to warmer countries for example. what is the best thing to do with cheap traffic ?? I would like to see on your blog a full step by step system where you show everyone how to make money using Ebay, Affiliate Marketing, Dropshipping or even create your own Ebook to sell. The process i would like to see is where you start from scratch and actually go into specific detail about how to find a niche and know if it will be successful. Starting from that point and building your list and showing everyone the result step by step each process. Sounds like a lot of work but as you are very experienced this should be a lot faster for you to do than most people. Based on my experiences in buying from Taobao, I am certain that most of the sellers are dishonest. And I am conned for few times buying from Taobao. Yet, I am really interested in and looking forward to this topic that you are going to cover early next year and how I can import the items I want to buy from China into USA in a lower fees and safer way. I hope that if it’s ok for you, you can try to explain how actually it works, and how to make sure that I can buy in no worries. Also, one more thing is about the shipping procedures. I do really hope to know what is a freight forwarder. And how it is better than a shipping agent or vice versa. I do really hope to know more about clearing agent too. And yeah, that’s all 🙂 And thank you too, I get to learn a lot of things from your blog. I enjoy reading them, but there’s one problem with me. I always have so less confidence in myself and I have planned to start out an online shop business, but I am afraid that things are not working out as I plan. Is there any advice for me .. ? You’re welcome, Andrew. In fact, I should be the one who thank you .. I am one of your student. 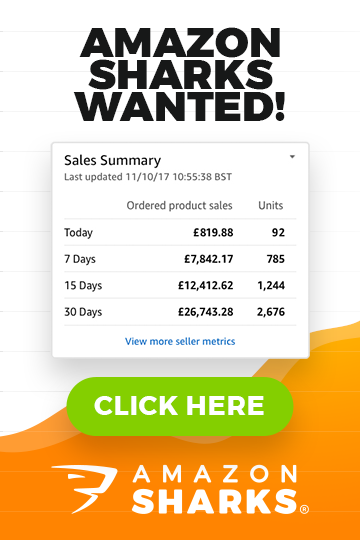 Just wanted to know if you would not mind touching on how to maximise on the power of affiliates to skyrocket sales for a new ecommerce business. In so doing, I believe you can increase word-of-mouth and organic traffic to your website and get your business off the ground in less time. Also, if you could explain on the possibilities of outsourcing online marketing (SEO, pay-per-click, etc) to reasonably priced marketing agencies to accelerate sales and push for more consumer engagement – the overall aim of course is to get the business off to flying start in the least possible time possible. Thanks very much for your suggestions Krish! An idea I think would be useful to cover is basic / broad principles of cash flow. -Social Marketing – FB, pinterest, tweeters, youtbe…..when do we need to start looking into these. Also how what content to put on them…..how to become more creative. Seems that the biggest problem faced by almost everyone on eBay (and in eCommerce generally) is discover-ability / visibility. My suggestion would therefore be a series of Tips on Cheap Paid Traffic, topped-up with some Free Traffic Ideas, plus how to Email List Build – not only Buyers – but also ‘Warm / Cold Leads’ to regularly send to eBay / eCommerce Listings. Thanks for all the great insights you constantly provide. (There’s no better source of eBay Info than the material you put out). Wondering if you have any experience in “Binary option & stock trading”you could share that with us in the new year. it’s not something I’m an expert on but thanks for your suggestion anyway! I would like to know how easy it is to sell your own branded products? Could you brand consumable products? Would they need to be imported from China? How easy is it to send them to Amazon for distribution and how do you know how many to send/import? A couple of subjects for you, although you may have already covered them. The first would be how to get cheap barcodes for home made products, as required by Amazon and I’d guess soon to be needed on Ebay. Is there an easy way of doing it or does it have to be register with the standards company and pay an annual fee? Second, your thoughts on ‘arbitrage’ and whether it can ever be a valid business model or whether it’s not worth it long term as it seems to require a lot of work for the sometimes slim returns. For new eBay sellers who have a new domain or perhaps bought a long existing domain, should we redirect it to our eBay store using 301 or 302 redirect? I have read that we should use either redirect with caution, since it could jeopardize SEO and page ranking due to Google aging delay issues, since our ultimate goal is to grow outside of eBay and have our own standing eCommerce store. Perhaps you could help shed light on the difference between these two redirects? Thanks Alan, good topic to cover! Hi Andrew, I’m an great follower of your blog and have completed your EAB course with great success. I used to really focus on Ebay, but now more of my efforts are pushed towards Amazon. This is due to the FBA side where they can fulfill your orders. This business model is just Amazing as i import everything from China. Do you have more information on Amazon FBA business models?. Eg research software for picking products, review automated feedback software, general tools to the job. Ebay is really losing a lot of the market to Amazon so this is where i am going to focus my time going forward. Can you give your opinion about the charity listings on Ebay. Is it worth? In terms of importing from China into the EU I’m wondering about all the issues as to why products may be stopped by customs, especially in terms of the materials used. I understand children’s clothing has to adhere to strict regulations but I’m assuming others things do to. For example, should tents and sleeping bags be made from flame retardent materials? Is the finish put on certain products an issue? How do you ensure that the products you are importing from China are safe? I hope this can be a topic for 2015 if it hasn’t already been covered! Tips to turn watchers into buyers. I have 2 things I’m pretty interested to read about. 1) I would like to find out the differences between shipping companies like forest shipping and other freight forwarders in terms of pricing, speed, how difficult it is to get products from China to the warehouse and etc. 2) What are the good studios around for product photgraphy for Amazon fba? Thanks very much for your suggestions Jane! Nope, do not use Forest Shipping Amazon! Here’s how I got screwed over by them for about $4,000 USD. Yea before they get your money they’re all friendly and fast to reply, but once they get your money, they’re going to do things that is most convenient for them, NOT what is best for you! Unless you are 100% sure your products will move without a hitch, then go ahead and use them but don’t say you weren’t warned. So I was shipping a shipment of goods into the US, and it got detained by the FDA because it had health claims and was classified into a medical device. FDA issued an official notice with specific instructions to register 3 entities in my supply chain (which I only found out after this was all over), each registration costing about $4,000 USD. Instead of passing the document to me so I could follow the instructions myself, Forest Shipping decides they can email me the instructions with their version of English (and if you’ve communicated with them through email before, you will already know that only about 70% of their English is understandable). And so they advised me to register my own device, paid $4000 to the FDA, only for them to come back and tell me the registration is not done! Obviously I had no confidence in the communication anymore and stopped the shipment. When I contacted FDA directly, I was unable to be issued a refund for making a wrong/incomplete registration because it was my fault I did not understand FDA instructions as I should have read their notice. But yet, I had never even seen FDA’s document at all! And guess what when I approached Forest Shipping about this? Basically their reply was “nah go away, it is not our responsibility to forward any documents to you, too bad you lost money”. Oh really, an official document containing material information, from a government authority with instructions for registration that is worth more than $10,000USD, and Forest Shipping does not think its important enough for me to see it myself, and that I should rely on their interpretation of what FDA wants. Guys, when you’ve handed your shipping money over (especially if you use TT), they will do whatever is most convenient for them from then onwards, which may not be what is best for you! STAY AWAY FROM FOREST SHIPPING! Tons of better shippers out there, like Shapiro and fbaforwarder, I was lazy to research on my own before and simply relied on this shipper that my supplier had connections with. Paid a heavy price for it, and I can’t sue them for it because even if I had 100% of winning, the legal costs would overwhelm my claims of $4,000USD. If you’re like me and have lost money because of Forest Shipping’s negligence, drop me a message and we may be able to work out a feasible lawsuit claim together. Disclaimer: All views expressed are my own and are true to my knowledge. I have no affiliation with any aforementioned companies. Definitely would want to read more on Amazon business please. I would like to know about the latest online selling platforms that are very popular at the moment. I am currently drop shipping with Ebay and I have connected my account to Bonanza. However I have not made as many sales on Bonanza as I would like and wonder if you have any experience or tips to make more sales. Also are you thinking of creating any info on Shopify as there is a real buzz about that at the moment and many courses for sale. I would like to diversify and use as many online selling platforms as possible next year. I would be grateful for any information or advice. Great blog. Can you do a detailed post on FBA, including how to work out all fees associated with it clearly and the issues when they lose an item? Hi Andrew, would you recommend cheaper or more expensive products for your shop’s ‘featured products’ area? Is it best to stick to best sellers, or expand to more ‘exotic’ products? Ecommerce using shopify and other shopping carts on a website is the next big thing, with lots of marketers jumping on the bandwagon, and most of them generating traffic from facebook. I’d like to see an articles like “top 5 ways to generate traffic to your ecommerce website” and “Shopify VS Woo-commerce, which wins?” . I hope that is something you can use! “Can I sell luxurious, super high priced items on eBay?” or “In what price range I can sell on eBay?”. We hear so much about 3D printers these days and it occurred to me that I have very little knowledge of this. Are they really any good? Can people like me afford them? Could they be used in any type of business.? Is this the real future for printers? Andrew is this something you are familiar with and do you want to impart your knowledge of this product. Hello Andrew, here’s my suggestion. I think it would be useful to do a comparison of WYSIWYG eCommerce website solutions. I’ve found it a bit of a pain in the past trying to find what would work best for me. I’ve settled for Shopify in the end, but not before trying out a few others. Hopefully something like this can be done by your site one day as i’m sure people would find it most helpful. It has been indeed Andrew! Please try to come up with something else. Hey Andrew I have follow you for some time now and I like every bit of your post..God bless you.And my ideals for you is that please help us people in United state here since we don’t know much about what product we can invest in it and what company we can buy from….please talk to us USA people and not only uk. Have a good holidays you and your family. .thanks. More information on things that would sell more on a part time basis and where to get them. Good warehouses that deal with small orders. As I only want to do this part time the information from you, which is great and very informative, is geared up for doing more that I want to, or have time for! How to get more people to leave feedback – I haven’t got that much (144) and so every one counts! If someone buys more than one item at a time how to work out a lower postage and to let them know – I know this is on eBay’s site but I get confused and thought you might be easier to understand. Very good suggestions Jane, Thanks very much! I know from your course that you are not keen on dropshipping because of all the disadvantages you listed. But I recently did a dropshipping course where the american tutor shows how he lists items on eBay which he then orders from those discount american stores like Home Depot, Walmart, etc. who ship the products directly to his eBay customers. Unfortunately, I don’t know of any UK online discount stores apart from Costco which are not good enough pricewise in order to do arbitrage with eBay. Maybe you could research this business model and find better online sources than Costco. Thanks and Merry Christmas to everyone. It would be really appreciated if at some point you could lay out a topic to cover the basics on best quickest methods of structuring a warehouse and the whole picking packing and posting fulfilment maybe using your own warehouse as an example, I know it will be different for everyone maybe this could be categorised into small, medium and large items. Like a lot of other sellers we’ve seen our turnover increase in excess of £150k on ebay alone for our shops but with high turnovers come the added storage space use for the moving stock. We have a racking system in place but haven’t as yet inplemented barcoding systems but we do wonder if we can’t speed up the whole process from picking to posting by having a different method of storage. we try to reorder the same each half year with lots of stock for different lines but when stocks moving shelves become vacant after the boxes are used and if we put another product in that shelve space it could get mixed up with other stock. It would be wonderful to see someone’s warehouse in operation generating high revenues and the methods they use for stock fulfilment and how to best utilise employees time. I have used drop shipping because of the lower upfront cost associated. I see that nobody in the their right mind would ever write this because it would immediately become untrue. If you had access like I do to Doba products what would you sell? I have listed about more than a hundred of their products on eBay and Amazon and made so little. Many people choose them here in the US as a launch into greater territory. So I’d love to pair up or if you could use the free trail and see from an experience person. How to profit from said vehicle. Even though it’s not the best model some of us are stuck with and paid up front for it. Doba has been very time consuming and not profitable. Some info I use the best pics I can find online and use your templates when possible it has converted a little better but the margins are so small that most time I stand to make $5 a listing. Thanks Victor for your suggestion! What are the best alternatives to Ebay and why? Already covered this Doug but thanks anyway! Thanks for your ideas Phil! Excellent suggestion, thanks very much Barry! I think it would be of great value for everyone if You make a post about the money management of the eBay business. Income, expences, taxes, packagin materials, stock, warehouse, shipping costs, accounting process. Maybe some basic guidelines for the begginers in the online business industry ! Hi andrew what is the best backup software for a ecommerce website? I am planing to build. Thanks Patrick, great idea for a blog post! Is it better to do Merchant fulfilled or FBA when selling on Amazon? For me it has to be a step-by-step for Amazon. I would love to see covered..
2) Any other applicable research (you’ve already covered product sourcing so that’s no so important). 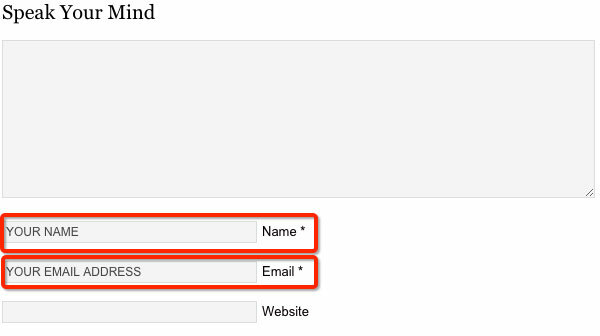 3) Listing step-by-step (It would be great if you could include the listing of products that don’t have a barcode e.g – Personalised items). Thanks very much for your suggestions John! Thanks for your ideas Tahir!